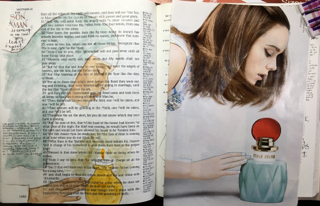 This is a re-post from a blog of a talented Christian woman and artist named Patsy Paterno. 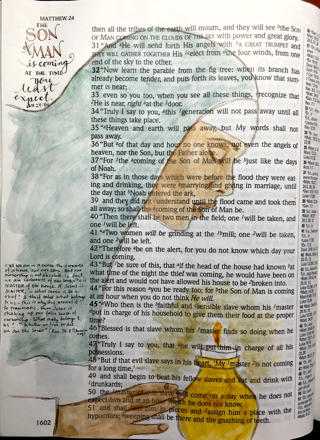 I’ve been following her blog HeARTworks for a couple years and am always amazed by her art and blessed by her message. Yesterday I was curious about what my father was so concentrated on and when I asked him, he showed me this website which had so many pictures of oil spills, garbage in Manila and India, smog in China, a multitude of fish dead in the sea and a polar bear teetering on what was left of his ice perch. The title was sort of, “How We Know the End of the World is Coming”. Lord, I know I must be prepared to meet You at any time today, tomorrow or the next day. Help me to be more zealous about obeying You, and loving You and my neighbor! About Patsy: Greetings from the Philippines! My name is Patsy and I’ve been married for 19 years to a man with a good heart. We have one son who is as funny as his dad. I have been working in our family business, papemelroti, since I was 11. When I get home from work, I stay in my craft room and make collages, scrapbook layouts, ATCs, and think of ways to re-use things normal people would throw away. I would be happy for you to use anything on my blog, but please link to me and leave me a comment. I want to be passionate about God’s passions so I also made a blog, Hebrews 13:3, about our service in the QC Jail.